Are you struggling to find the right resources to edit your wedding photos? Are too many wedding shoots piling up the editing work and you are not able to complete them on time? Then, the best option for you would be to outsource wedding photo enhancement services to an experienced and skilled wedding photo retouching service provider. By outsourcing, you not will have more time to focus on providing the best service to your customers but also save on costs. Outsource2india has been a leading provider of wedding photo enhancement service provider including wedding photo post-processing and pre-wedding photo editing services. 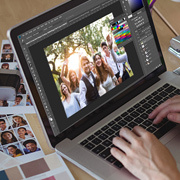 Our team of highly skilled and experienced photo editors has over 100-man years of experience of catering to the needs of photographers, studios, and individuals around the globe. Sometimes due to some unfavorable conditions, the wedding photos may not come out the way it is expected. We, at Outsource2india, can help you with the wedding photo post-processing, including wedding photo color correction and make the images look completely natural and realistic. Drone image editing has become one of the most popular methods of shooting weddings. Editing these drone images can be tricky and need special skills. Our team of photo editors has the required skills and tools to edit the wedding drone photos within a quick time. Are you looking to convert old photos into new looking images? Airbrushing can help you convert old, sketchy images into works of photography and art. Our team has the required airbrushing skills to edit your wedding images in a highly professional manner. Most of the wedding photographers click images in the raw format which can be edited at a later stage. Our team of image editors can use these raw images and convert them into stunning pieces of art and create ever-lasting memories of your wedding. Some of the old wedding photos may turn dull, moldy, stained, spotted, scratched, folded, cracked, or blurry with time. 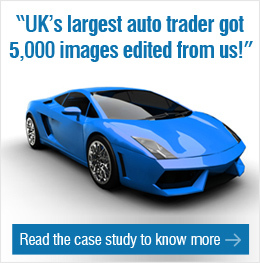 We can help you convert these images into brand new looking images within a quick turnaround time. Why Choose O2I for Wedding Photo Enhancement Services? Outsource2india has been a pioneer in providing wedding photo enhancement services in India and a host of other wedding photo editing services to clients around the globe. Having been catering to the needs of photographers, studios, and individuals from across the world, we have enough experience to cater to any requirement of the client. Our team of highly experienced and skilled image editors is trained to work on the latest photo editing tools and technologies. If you are looking for a professional, reliable, and cost-effective wedding photo enhancement service provider, then look no further. Get in touch with us today!